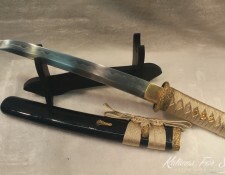 There were instances where Samurai swords were not considered ideal to complete a task; thus, other weapons are used to achieve victory in battles. 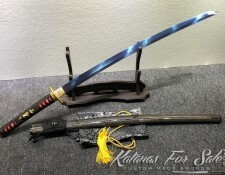 With that, the Chonin and Samurai classes of feudal Japan made use of improvised and alternative weapons. This was to adequately defend themselves in unpredictable situations. These warriors were trained to be aware of their surroundings, as well as the changes in their environment that occur daily. 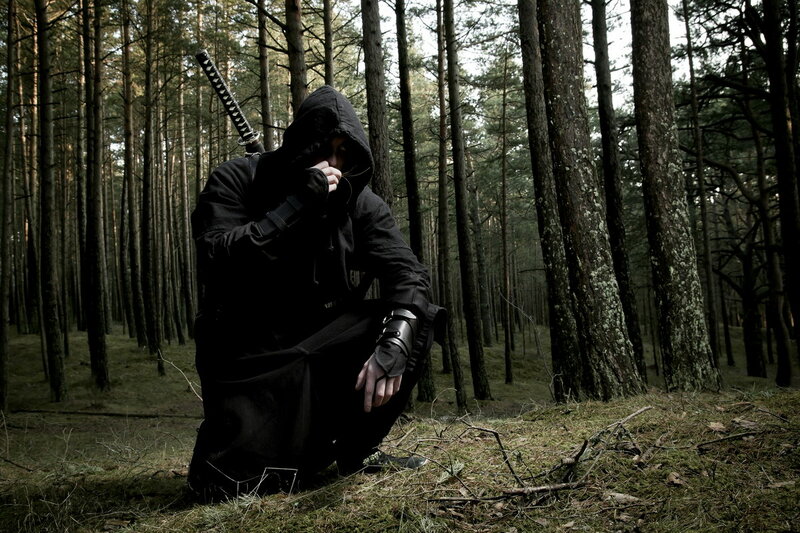 The samurai believed that he should be entirely prepared. Ready to protect and defend whenever danger strikes. 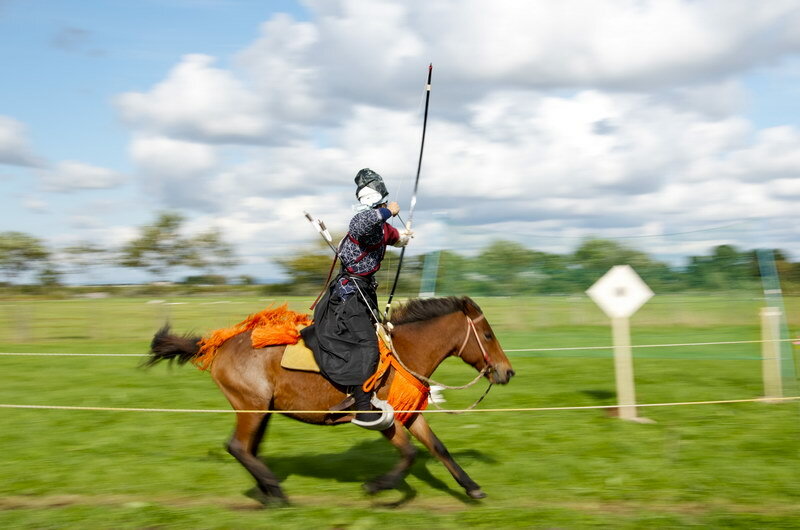 The samurai warriors were not only skilled in swordsmanship. They were also knowledgeable and creative in utilizing common objects to complete their jobs. A lot of these were used on a daily basis and weren’t necessarily turned into weapons. Although if this was the case, the samurai warriors were able to make them functional for self-defense. These were referred to as the mijikimono. They included tobacco pipes, lids of rice cooking pots, and even decorative hair pins. During the feudal period of Japan, portable writing sets also had its own collection of self-defense purposes. 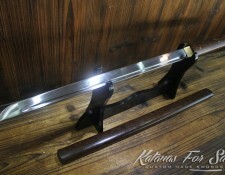 Kanabo was generally a stick made of metal. 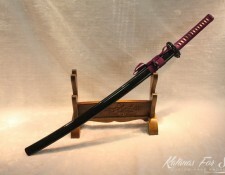 There were other versions of this weapon and were made from iron or wood. 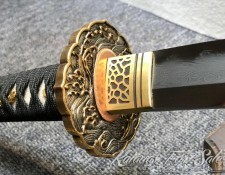 It is a war club that features studs or spikes on its ends, and was utilized by the samurai warriors. They used this to literally smash the armor of the enemy. If necessary, it was utilized for attacking the warhorses of their opponents. 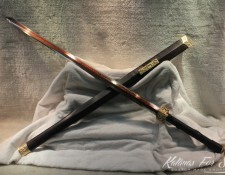 Since the kanabo is a heavy piece, adequate mastery of strength and balance were required to handle this weapon. Either one or both ends of it can be iron sheathed. 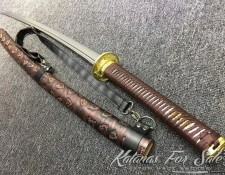 The kanabo also came in a variety of sizes. Its biggest pieces were as tall as a male and should be wielded with both hands. For the smaller and much lighter ones, these could be wielded with just one hand and commonly had the length of one’s forearm. 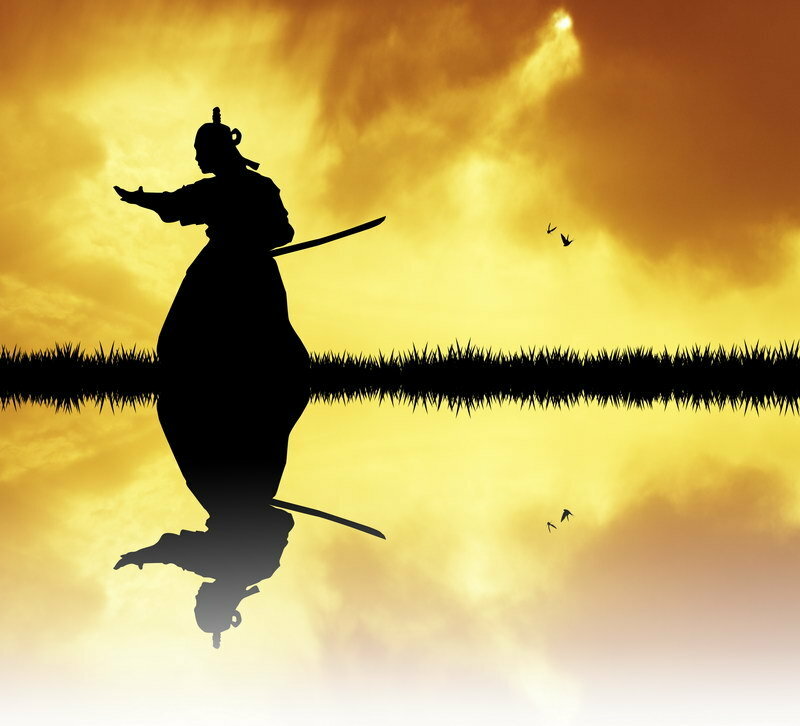 The Japanese bow was the original weapon of a samurai. It has a long and rich history. 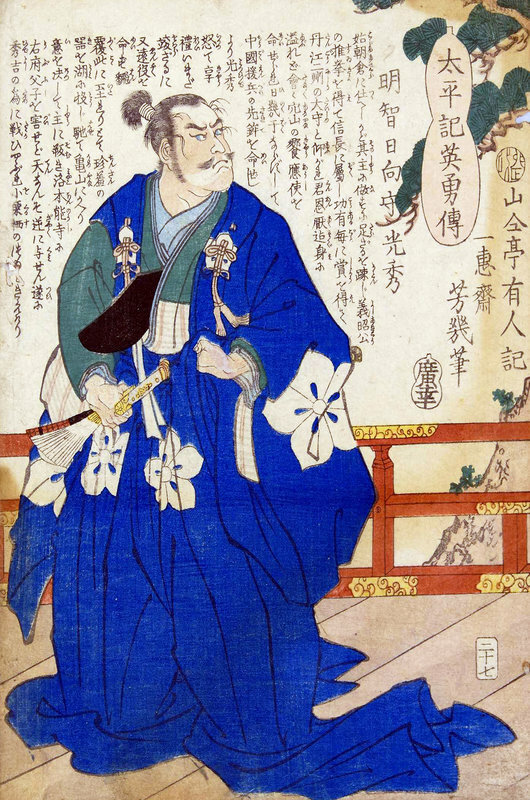 Because of Japan’s isolation from other cultures, it allowed the country to create its own unique archery techniques and tools. These were made necessary for warfare and hunting. The oldest ceremonial and hunting bows in Japan date all the way back to 10,000 B.C.E. Without the wood-binding technology and knowledge from other countries, Japan crafted their own long, sturdy, wooden bows that sometimes reached over 2.5 meters. This was simply to maximize its true power. To account for the bow’s strength, a low grip was created to achieve this. It worked efficiently for use on horseback, thus, achieving increased power. The Kabutowari was a helmet or skull breaker. It was a blade that was made specifically for splitting a helmet open. If you take a look at it, it appears just like a jitte in several aspects. 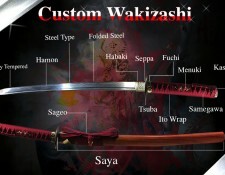 The samurai warriors used to bring this weapon as their sidearm. These often measured around 35 centimeters; some were larger and were about 45 centimeters in length. 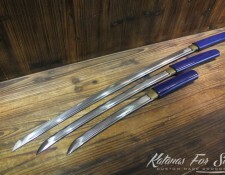 In the past, there were two different types of kabutowari – the dirk type and the truncheon type. 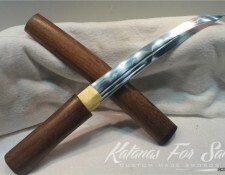 The dirk type of kabutowari was forged with a sharp point that appeared just like a dirk. It could be employed for parrying the enemy’s sword, hook the armor’s cords or a helm, or simply use it like a can opener to split the enemy’s armor plates. What is useful about the dirk type was that it could easily pierce the unprotected areas of an enemy’s armor. 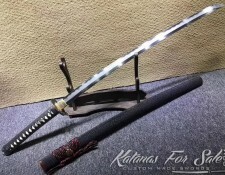 The blade of the dirk type kabutowari featured a curved, tapered square steel or iron bar. It had a hook along its back edge. During combat, the user could catch and parry the enemy’s blade with the hook. 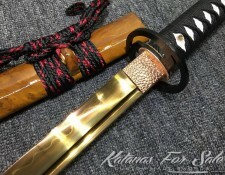 Further, there were a few kabutowari of this kind that was fixed like a tanto with a koshirae. 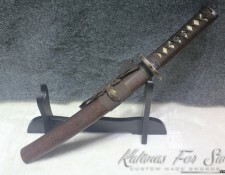 The truncheon kabutowari is a type of kabutowari that has a blunt cast iron or was crafted just like a truncheon. It resembled a jitte or tekkan. 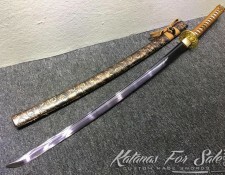 The truncheon type kabutowari featured the basic shape as the dirk type with a hook, yet was commonly blunt and not really meant for stabbing an opponent. The Bo Hiya was considered as the Japanese version of the fire arrow. 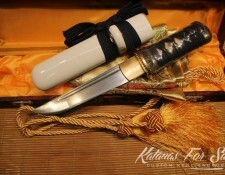 These were used during the ancient period of Japan and by the samurai from feudal Japan. This specific weapon could easily wreak havoc on enemy garrisons, wooden buildings, naval vessels, and fortifications. Originally, these were fired by bows, yet due to the country’s introduction to gunpowder and firearms, they instead, improved the bo hiya to become portable, combustion-powered arrow launchers that looked just like rifles. 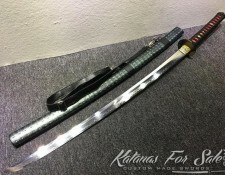 The saya of the wakizashi or tanto usually had a second slot, and this was specifically for the kogai. 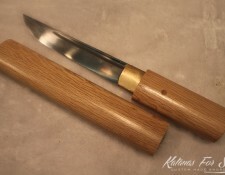 The kogai was a skewer that comes with a blunt tip. Some believed that this was utilized to thrust through an enemy’s ear after he was beheaded. It was done to display and show who was victorious in battle. 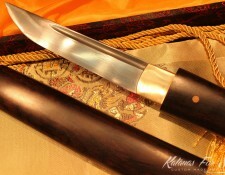 The kogai appears with a blunt and narrow blade. It has a short handle and spoon-like finial right on its top. It is said to have been based on a woman’s kanzashi or ornamental hairpin. 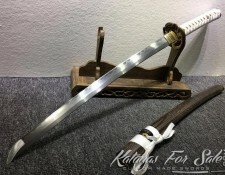 With that, a few of these kogai resembled thick needles which were generally concealed weapons used for self-defense. This refers to a shortened chain featuring a steel weight that is connected to either or both of its ends. The length of this weapon usually reaches from two to three feet. 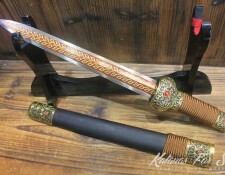 A lot of people assumed that this was made to effectively counter longsword techniques without having to use another sword. The kusari fundo was generally easy to construct and hide. 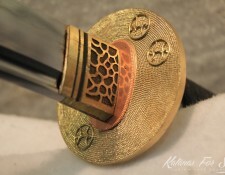 Using the kusari fundo was taught in a variety of schools. It was used as a concealed weapon for defense. 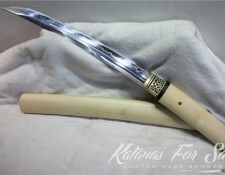 It was extremely useful when using the sword was not allowed or was considered impractical. During the Edo period, the samurai police would usually carry the kusari fundo to be used as one of their non-lethal weapons for arrest. 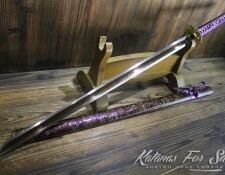 The Jitte is a steel rod fitted with a sturdy handle. 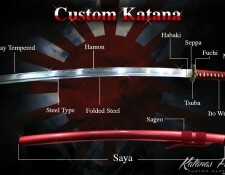 It either features single or double hooks along the blade’s edge. 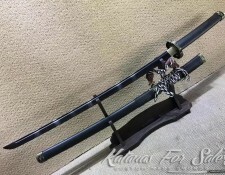 A lot of samurai utilized this weapon to catch their enemy’s blade. That way, his enemy would get disarmed and taken alive. 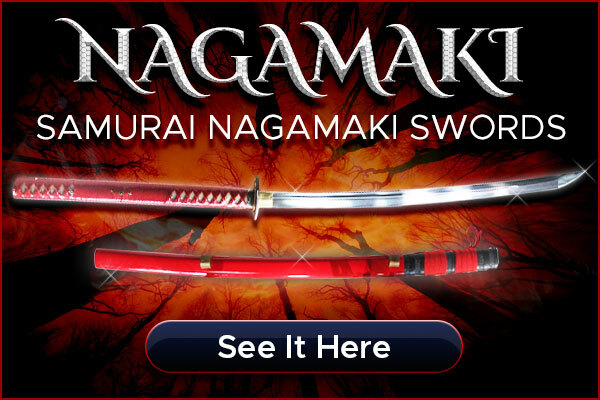 In feudal Japan, bringing a sword to the shogun’s palace was a great crime that was punishable by death. This law applied to almost every individual, including the guards of the palace. Because of this prohibition and rule, numerous types of non-bladed pieces were wielded by the palace guards. The Jitte, for one, provided to be highly effective; eventually, it evolved and became the palace guard’s symbol. During Japan’s Edo period, the Jitte was a substitute for badges and represented a person who was on official business. 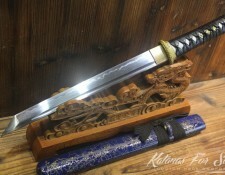 These were often carried by all levels of police officers which include high ranking samurai officials and low ranking law enforcement samurai. The other high-ranking officials who carried the jitte were the aratame – specifically hotel, grain, and rice inspectors. The Chigiriki was the flail weapon of Japan that consists of a hollow or solid piece of wood. It could also be made from an iron staff with iron weights and chains on its ends. This was generally a more aggressive piece compared to the kusarigama. It can be utilized for entangling or striking an opponent, as well as parrying blows to capture and immobilize an enemy. 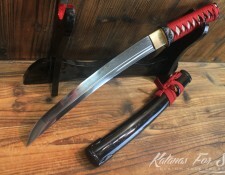 The stick of the chigekiri can be as long as the user’s forearm and it could even go over this length. Its iron weight featured spikes and the shape could either be multi-sided or rounded. 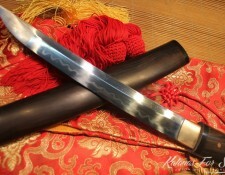 The origin of this weapon is still unknown, though it does belong to the furi-zue family of brandishing sticks. These were generally any kind of staff or stick that had a chain connected to it. 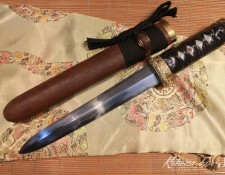 It was also one of the shinobi zue weapons utilized by the shinobi. 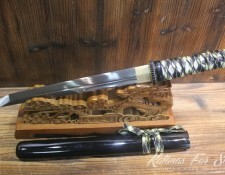 The method of training to use the chigekiri was called chigekiri jutsu and the chigekiri was said to have been used by the Araki ryu and Kiraku ryu schools. 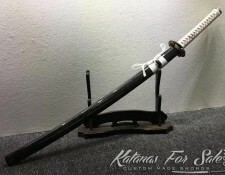 This entry was posted in Japanese Weapons, Samurai History and tagged backup sword, Bo Hiya, Chigekiri, Feudal Japan, Jitte, Kabutowari, Kanabo, kogai, Kusari Fundo, Mijikimono, samurai swords, samurai weapons, shirasaya, shirasaya tanto, shirsaya wakizashi, wakizashi, Yumi. Bookmark the permalink.